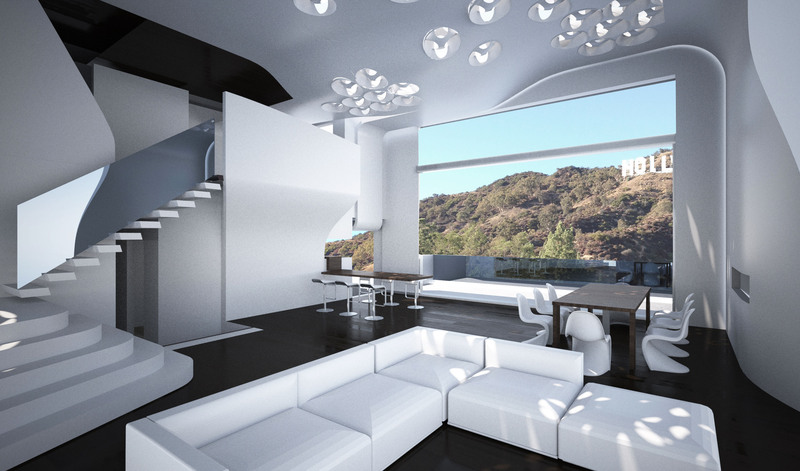 This 3,800 square foot renovation of an existing property capitalizes on its adjacency to the Hollywood sign by creating framed views to the iconic landmark. 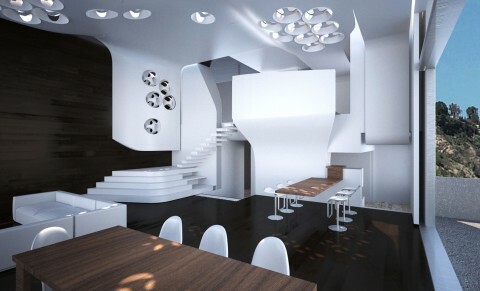 A new stair descends into an open interior, where media, living and dining functions co-exist. A contrasting palette and a integrated system of lighting create a hip, contemporary interior for an innovative entrepreneur.